When is St. Andrew's Day 2019? What is St. Andrew's Day? St. Andrew's Day is a Christian feast day celebrated annually on November 30 in honor of Saint Andrew, a Christian apostle and the brother of Saint Peter. Saint Andrew is the patron saint of Scotland as well as Barbados, Bulgaria, Colombia, Cyprus, Greece, Romania, Russia, Ukraine and Tenerife. St. Andrew's Day is Scotland's official national day and has been a public holiday since 2007. 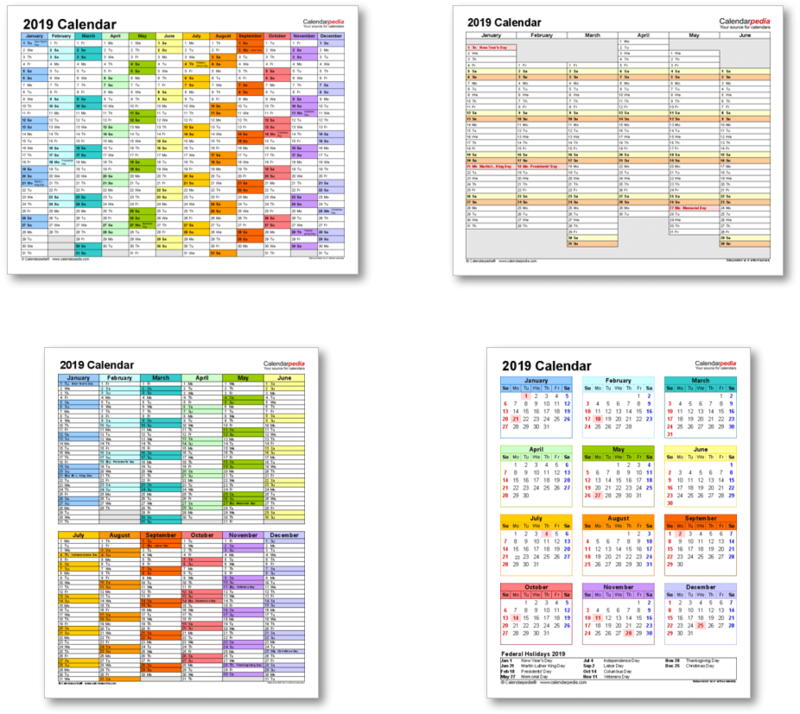 If it falls on a Saturday or Sunday, the following Monday becomes a substitute bank holiday. It is also an offical flag day, which means the Flag of Scotland, a white diagonal cross on a blue field, also known as Saltire or St. Andrew's Cross, is to be flown on all goverment buildings with a flagpole. The day is observed by Scotts in Scotland and worldwide with celebrations of Scottish culture, such as eating traditional Scottish food and performing Scottish music and dance. It is the beginning of a season of Scottish winter festivals comprising St. Andrew's Day, Hogmanay (Scotland's New Year celebrations) on December 31 and Burns Night on January 25, the annual celebration of Scotland's national poet Robert Burns. It also marks the beginning of the Advent season: the First Sunday in Advent falls on the Sunday nearest to St. Andrew's Day. 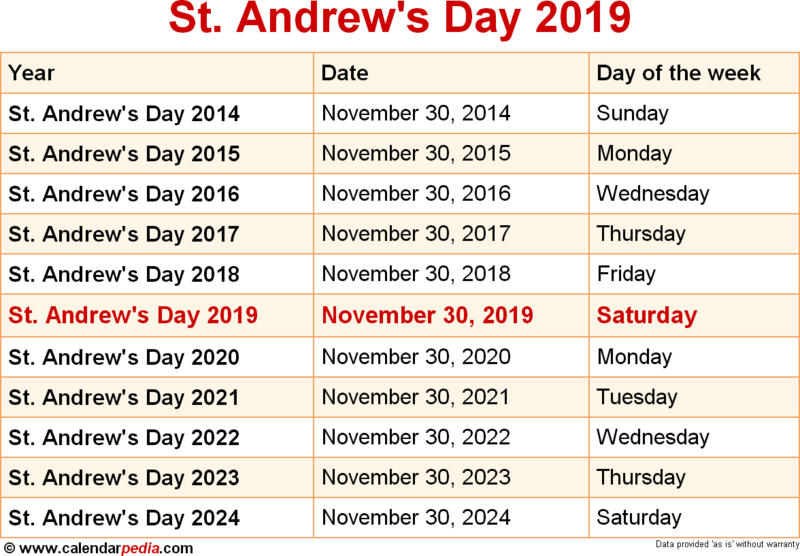 When is St. Andrew's Day 2020? The next occurrence of St. Andrew's Day is marked in red.